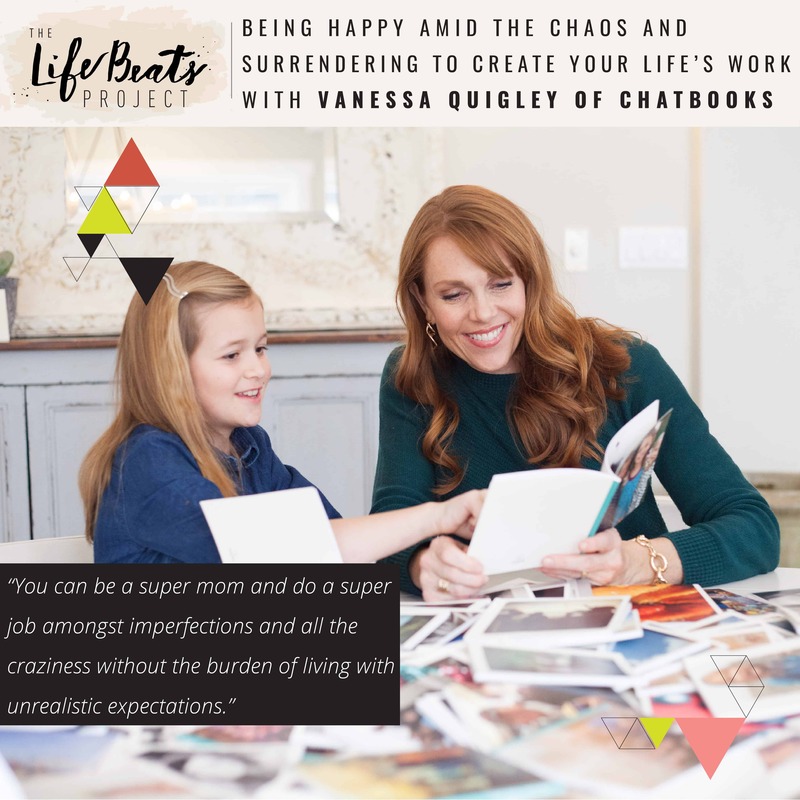 Vanessa Quigley the Chatbooker-in-Chief of the digital photobook company Chatbooks shares how she has been able to be happy amidst the chaos of life as the oldest of 12 children and the mother of 7 children. She shares stories of growing up on a petting zoo in Florida and how she learned from her parents to be the author of her own destiny and to take risks. She gives suggestions for those who may be a little more cautious, in order to anchor them to allow for more risk taking and stretching in their life. She honestly tells of the feelings she had after finding out she was pregnant early in her marriage after making plans to excelerate her professional singing career and how learning to get creative to get what she wanted prepared her for life ahead. Vanessa shares how now as a working mother of 7 children she has stopped chasing the equilibrium between work and life, but instead embraces her ‘life’s work’ that has also become her family’s ‘life’s work’ and how they accomplish that. She talks about structure, laughter, and surrender as key elements to maintain joy amidst the chaos. And how the myth of the Supermom that does it all can be a dangerous thing but how we can celebrate the good and super things we are doing as moms. She reveals how the new hilarious video from Chatbooks is a representation of her life and how Chatbooks was born to rescue her from mom guilt and to bring back the joy of physically holding memories in her family’s hands. Come listen ready to laugh and learn from this super mom. Want to know if this episode it for you? This episode is perfect for someone who is looking to learn from an experienced mom on some keys elements to finding happiness amidst the chaos of life. It is perfect for someone who is exhausted from trying to be Supermom and is looking for a way to be happy with their life. It is great for working moms or busy stay at home moms that are looking to find that illusive balance of life and work. And it is perfect for anyone seeking for an easy solution to unseen, unprinted backlogged files of digital photos.